Finding low-carbon, low-emission solutions to current transport and vehicle issues is more vital than ever. Perhaps the biggest change to the vehicle industry is the move towards electric cars. With the introduction of the Faraday Battery Challenge, we could all be driving rechargeable cars sooner than expected. 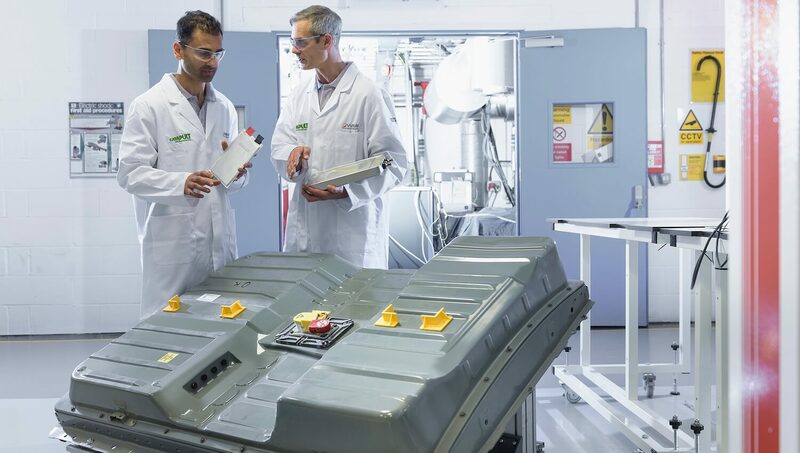 Greg Clark, the minister for Business and Energy announced plans last year to implement a £246 million initiative to develop new, high performing batteries for use in the electric car industry. This four year scheme is funded by the Industrial Strategy Challenge Fund, aiming to support science and innovation around the UK. The project set up a series of interlinked competitions to drive research in battery technology. Innovate UK invested £30 million into the research process and to set up the Battery Institute, a network of top scientists and engineers. The research project tackles everything from cell manufacture, modules, battery pack design and vehicle application. Current batteries on the market do not have the power or durability to make rechargeable, electric cars convenient and cost-effective enough to be the norm. For this reason, scientists and developers across a range of sectors have been tasked with the challenge of developing a new, high performing battery. These batteries need to be durable, safe, economically viable and most importantly, recyclable. In order for electric cars to become the majority on our roads, we need transport infrastructure to support its development and implementation. That’s why the government announced the Vehicle-to-Grid competition, a £20 million scheme to fund projects dealing with the interaction of electric vehicles with the grid. Once a battery has been developed that can cope with today’s demands, it won’t just stop at electric cars. Rail, marine and aerospace systems could all benefit from new battery power, working towards a more sustainable future of transport. Once something out of a sci-fi movie, driverless cars could soon be a commonality. Industries such as mining, construction and farming could benefit greatly from these new technologies. For the first time, the government has made funding available to off-road, driverless vehicles. This means the UK could soon be a leader in automated transport innovation. To ensure that greener, electric vehicles become widespread throughout the UK, these research projects need support and funding. Innovate UK are investors for the Faraday challenge, as part of the wider Industrial Strategy Challenge fund set up by the government. Subscribe to the Innovate UK YouTube channel to find out about the other exciting projects they’ve helped fund, support and connect to build a greener future.